To me, one of the aims of yoga practice is to help us hone interoception and proprioception to able to move most efficiently, improve balance, prevent injuries and pain, and overall be able to better know and better care for our bodies. If you feel disconnected from your body, and have a poor sense of where you are in space, then it’s hard to notice what the body needs, and practice preventative care. Poor proprioception can be one factor in poor balance, and make someone doing any type of exercise or movement more likely to strain or injury themselves. Additionally, becoming more mindfully aware of the body and our subtle movements can be a form of meditation. It helps us to improve concentration, lessen reactivity in the mind, and calm the nervous system. I find that yoga practice that includes slow, fluid movements that repeat and slowly build in complexity are ideal for deepening our abilities of interoception and proprioception. 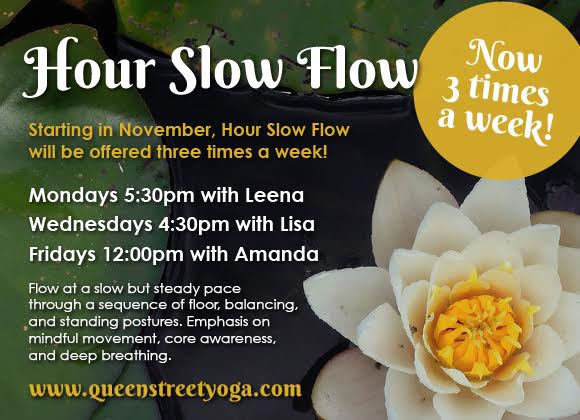 These are some of the reasons we began offering Hour Slow Flow Classes at QSY. These classes are chance for yogis of all levels and abilities to slow down a little and move with greater care, to take time to sense the body on a deeper level, and to re-calibrate movement and proprioception. In Slow Flow classes we move at a gentle by steady pace through sequences of floor, balancing and some standing postures. Rather than emphasizing advanced or complex postures, in Slow Flow we focus on moving mindfully, being aware of transitions between movements and postures, and cultivating core awareness and deeper breathing. In some Slow Flow classes we utilize on movements from the Tensegrity Repair Series, which is a series of movements that I’ve found really helpful at improving my joint proprioception. 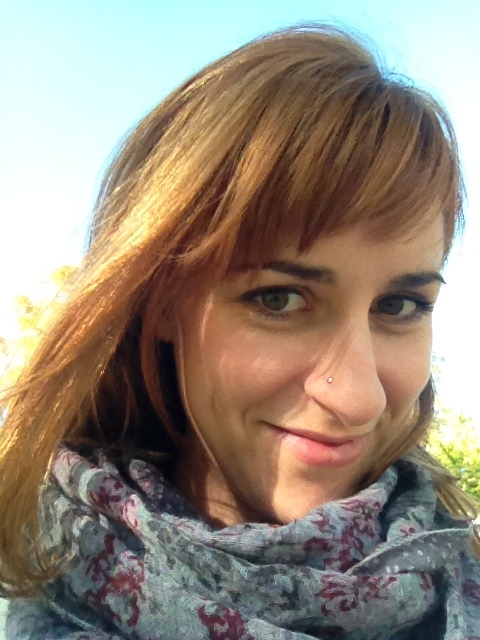 In addition to our popular Monday evening Slow Flow with Leena (which can be followed directly with Rest & Renew for a real treat! 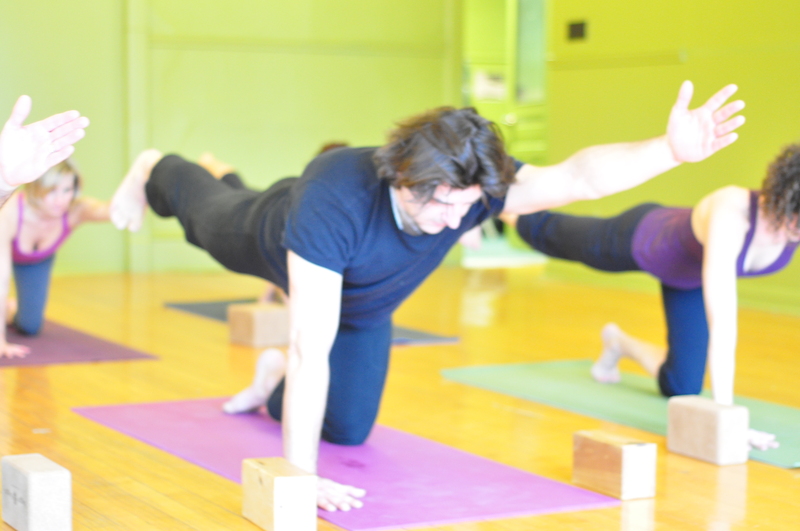 ), we’ve added two new Slow Flow Classes to our November-December Schedule! Fridays 12:00-1:00pm with Amanada S.
I’ve created this sequence that you can try at home, which includes lots of gentle, repeated movements, that help to encourage better awareness of the hip, shoulder and spinal joints.